Ever since the film’s formal announcement earlier this year, Nagarjuna has been highly confident about the success of his son Naga Chaitanya’s upcoming romantic family entertainer, Rarandoi Veduka Chudham. 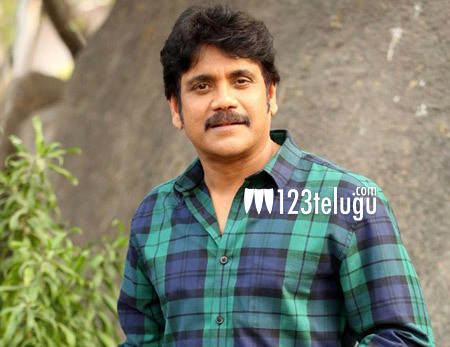 Nag exuded the same confidence during the film’s audio launch event tonight. He said that he had promised all the Akkineni fans last year that he will concentrate on both his sons’ careers and deliver two blockbusters this year. The senior hero went on to state that Rarandoi Veduka Chudham is the first blockbuster of the two and that Akhil is busy currently working on the second blockbuster. Nag further lauded the film’s music composer DSP, director Kalyan Krishna and the core cast and crew. RVC stars Naga Chaitanya and Rakul Preet as the lead pair. The film is slated to hit the screens on May 26.